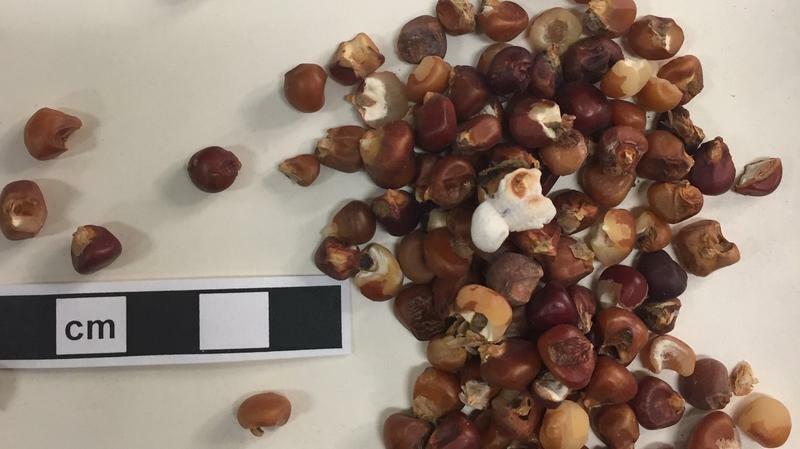 A popped kernel found in southeast Utah looks like it was cooked yesterday — but, chances are, won’t taste like it. After a thousand years or so, popcorn usually becomes stale. The Edge of the Cedars State Park Museum posted last week on Facebook that an assistant curator cataloged corn from a site at Comb Ridge, west of Blanding. Among the various colors of kernels was an unexpected find: popcorn. “It’s surprising and delightful,” Jonathan Till, curator of collections, said of the discovery. Till joined KSJD’s Daniel Rayzel to share what the museum knows so far about the popped kernel. Archaeobotanist Dr. Karen Adams also spoke to KSJD to explain how popcorn — a rare find in archaeology — stays preserved in the Southwest, and its interest to prehistoric people. Disclosure: Jonathan Till is a volunteer DJ at KSJD.